Register your interest in the new Jaguar XE, a car that revelled in the limelight at the 2014 Geneva International Motor Show and looks likely to change the way people view a sports saloon. There are so many standout features of the next-generation model of the Jaguar XE. For one, the car delivers the power and refinement you expect from a Jaguar but manages to keep emissions to under 100g of CO2 per kilometre. 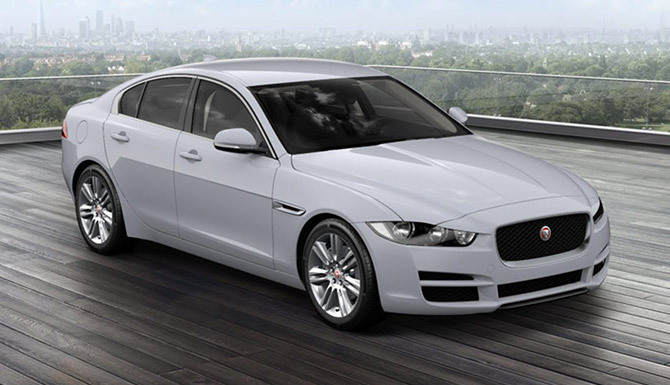 Then there is the design of the 2015 Jaguar XE, which has been created using an all-new aluminium architecture. Lift up the bonnet and drivers have a wide variety of engine capacities and outputs to choose from. This includes the phenomenal V6 engine that fans of the Jaguar F-TYPE will already be familiar with. Discover the new Jaguar XE at Grange today by making an enquiry online. You can also book a test drive online, to commence at either of our GRANGE dealerships; Jaguar Hatfield, Jaguar Barnet, Jaguar Brentwood, Jaguar Swindon or Jaguar Woodford. Representative Example relates to an XE 2.0i 200ps R-Sport Auto 19MY. 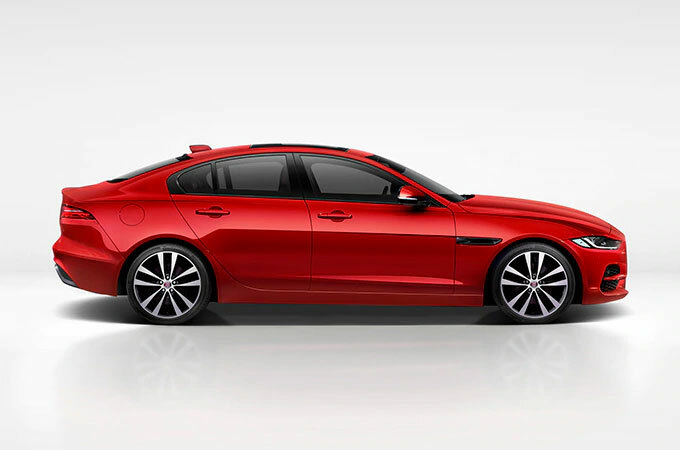 0% APR Representative available on this XE model registered between 1st April to 30th June 2019. With Jaguar Personal Contract Purchase you have the option at the end of the agreement to: (1) return the vehicle and not pay the Optional Final Payment. If the vehicle has exceeded the maximum agreed mileage a charge per excess mile will apply. In this example, 14p plus VAT per excess mile up to 4,999, or for excess mileage of 5,000 or more, a charge of 28p plus VAT will apply to each excess mile above the maximum agreed mileage. If the vehicle is in good condition (fair wear and tear accepted) and has not exceeded the maximum agreed mileage you will have nothing further to pay; (2) pay the Optional Final Payment to own the vehicle or (3) part exchange the vehicle subject to settlement of your existing credit agreement; new credit agreements are subject to status. Representative Example is based upon an annual mileage of 10,000 miles. Credit is subject to status and is only available to UK residents aged 18 and over. This credit offer is only available through Black Horse Limited trading as Jaguar Financial Services, St William House, Tresillian Terrace, Cardiff CF10 5BH.